Monument in the Warehouse Arts District that will serve as a symbol of America’s resiliency and will be dedicated to 9/11 community heroes, first responders, and the events that happened that day. Your donations make it possible. Rise will be a monument that serves as a symbol of America’s resiliency and will be dedicated to 9/11 community heroes, first responders, the events of that day. At the heart of the monument, Rise will feature one of the last pieces of World Trade Center steel to be recovered from ‘ground zero’ in New York City. 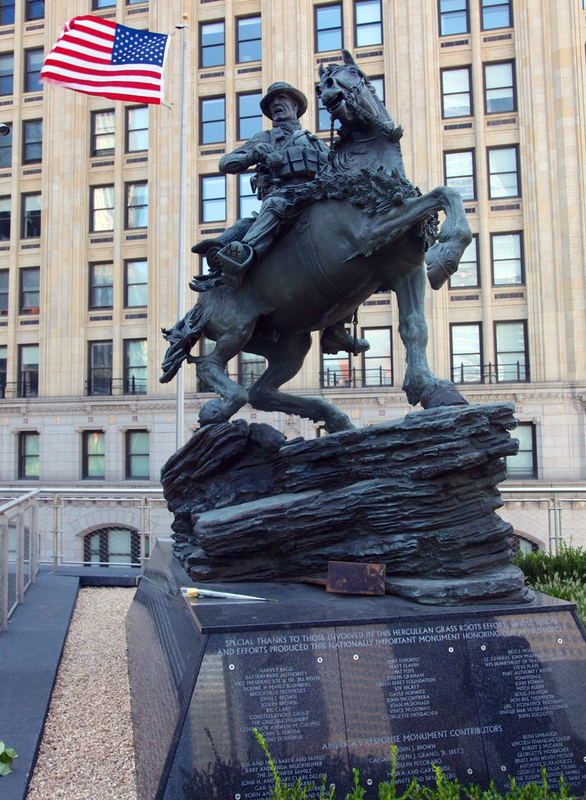 The beam was unearthed during site preparations for America’s Response Monument ‘Horse Soldier Statue’ at the National September 11th Memorial Museum in New York City and given to the owners of American Freedom Distillery. 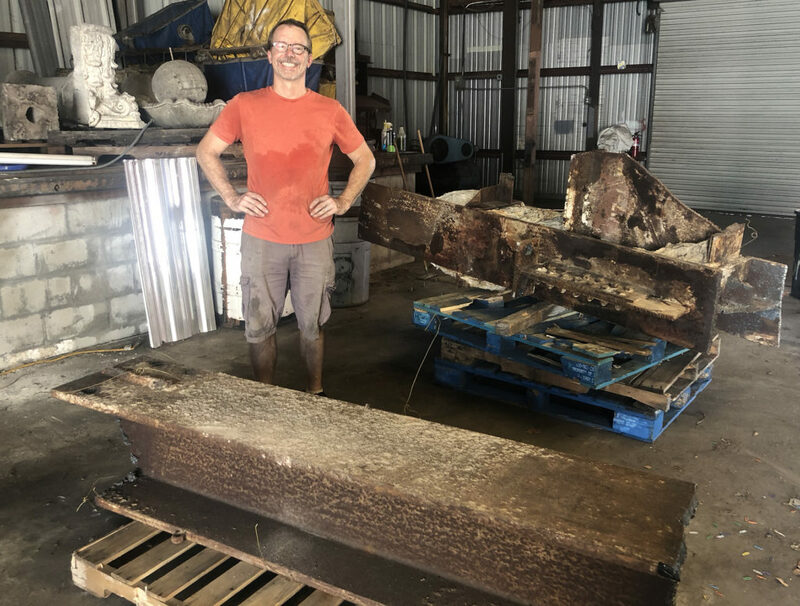 This piece of steel was donated to the Warehouse Arts District Association by the Port Authority of New York in conjunction with the American Freedom Distillery who hired Sculptor Mark Aeling to design and build the monument. This Monument is a gift of American Freedom Distillery and The Warehouse Arts District Association and made possible through public and private donation. We broke ground on Veteran’s Day Weekend 2018 with plans for construction completion on September 11, 2019. Your donations and in-kind construction/material donations help us bring this important tribute to downtown St. Petersburg. – Mark Aeling, Rise monument creator.